PeaceWalk 1989 . . . . 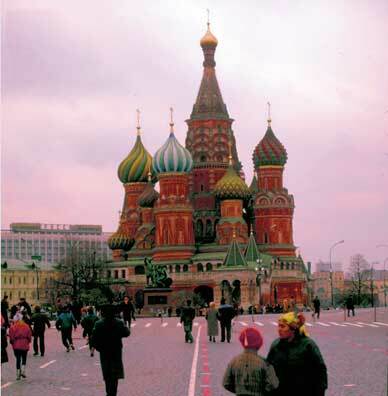 The Kremlin is Russia's mythic refuge, a self contained city of palaces, armories, and churches. By the middle of the 14th century, Moscow was the seat of the Russian Orthodox Church. The Bolsheviks' choice of Moscow as their capital in March 1918 makes it the symbol of Moscow.